As our world has become increasingly dependent on technology, and our Western societies have become woefully “Crackberried”— to use the title of a recent documentary on the emotional and social pitfalls of our too-wired ways—an intriguing phenomenon is occurring: There is an increasing amount of interest in returning to some of the simpler arts that were neglected or left behind with the onslaught of technology. Artisans and everyday crafters are finding a renewed satisfaction in making something with their own hands; some are even communicating about the inherent physical- and mental-health benefits found in handwork—and, even more than that, they are framing their handwork as meditation or spiritual practice. In today’s sophisticated and pluralistic society, people are more aware than ever that spiritual practice can be defined more expansively—and the popularity of books focusing on alternative spiritual practices demonstrate that readers are hungry for new (or ancient) ways of enhancing their inner lives. In Crafting Calm the author will explore these new forms of creative spiritual practice and the benefits they provide. The format of With Shannon's book will itself be creative, a rich “potpourri approach” that weaves together interviews, historical facts, projects for readers to do themselves, quotations, and suggested resources. Crafting Calm will serve as an inspirational resource guide to a broad assortment of spiritual practices gathered from the global arts-and-crafts communities, as well as from people who don’t consider themselves artists but who have adopted creatively expressive forms of spiritual practice. 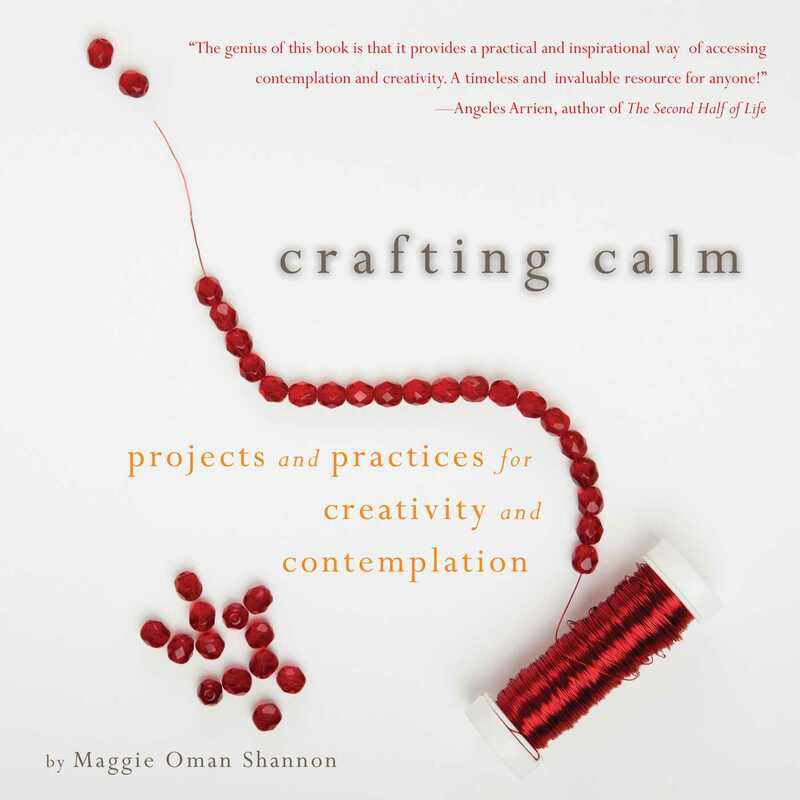 While there have been a few books published focusing on a particular form of creative spiritual practice (Skylight Paths, for example, has published books on beading as a spiritual practice; painting as a spiritual practice; and using clay as a spiritual practice), no one has yet explored the breadth of possibilities for creative spiritual practices contained in Crafting Calm.